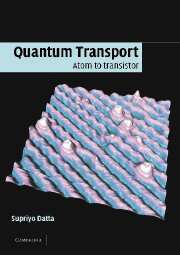 Dr. Supriyo Datta of Purdue University has completed his textbook Quantum Transport: Atom to Transistor. This book illuminates some of the most advanced concepts of non-equilibrium quantum statistical mechanics. Dr. Supriyo Datta of Purdue University has completed a textbook on Quantum Transport. Dr. Datta is the Director of the Institute for Nanoelectronics and Computing (INAC), a NASA funded center whose mission is to invent new molecular devices, to develop techniques to assemble them into ultradense systems integrated with a silicon platform, to devise new system architectures that harness these heterogeneous technologies for NASA missions, and to train the next generation of scientists and engineers. 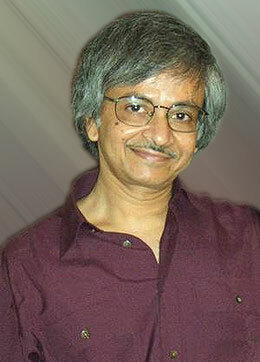 Dr. Datta is also a Thomas Duncan Distinguished Professor of Electrical and Computer Engineering at Purdue University. His book presents the conceptual framework underlying the atomistic theory of matter, emphasizing those aspects relating to current flow. Written for senior undergraduates and graduate students, it is accessible to students having no prior acquaintance with quantum mechanics, and yet it includes some of the most advanced concepts of non-equilibrium quantum statistical mechanics. Chapter 1 provides a description of quantum transport in elementary terms accessible to a beginner. The book then works its way from the Hydrogen atom to nanostructures, with extensive coverage of capacitance and current flow. The last chapter summarizes the equations for quantum transport with illustrative examples showing how conductors evolve from the atomic to the ohmic regime as they get larger. Many numerical examples are used to provide concrete illustrations and the corresponding MATLAB codes can be downloaded from this site. Video-streamed lectures, keyed to specific sections of the book are also available for viewing online, any time, free of charge. This book will be published in May 2005 by Cambridge University Press and can be purchased at their web site.